Don’t Miss TURNOUT THE VOTE: A Rally Promoting Voter Participation and Fighting Voter Suppression! 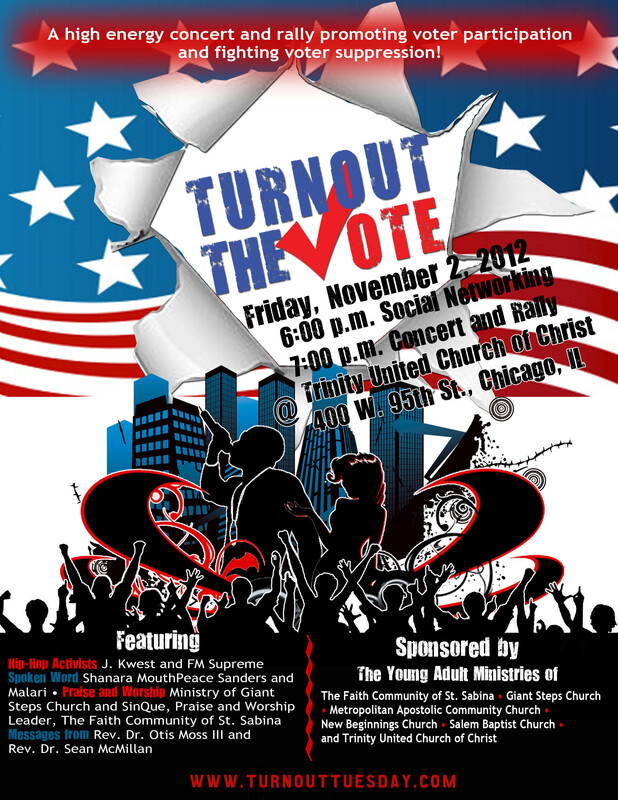 Don’t miss Turnout The Vote, a rally and concert promoting voter participation and fighting voter suppression! The event goes down Friday, November 2nd, at Trinity United Church of Christ in Chicago, IL (400 W. 95th Street). The festivities begin at 6pm. Click the above flier for more info!